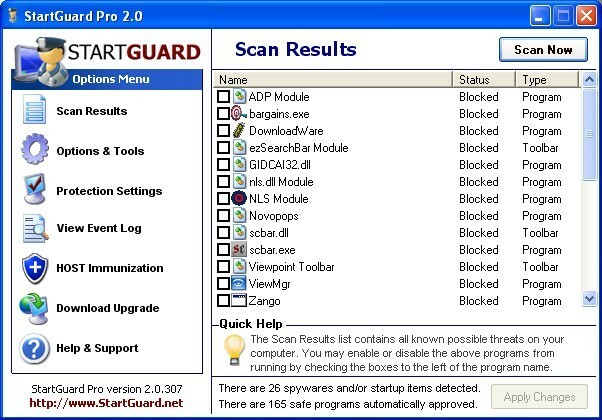 StartGuard Pro is the next generation spyware cleaner for your PC. Successfully detects and blocks all kinds of spyware, adware, trojans, worms, keyloggers, hijackers, BHOs, toolbars, memory hooks, homepage changes, unwanted system changes, and all types of current and future malware. Speeds up Windows loading time and other applications by blocking useless junk programs. Protect and secure your PC today by downloading StartGuard Pro!